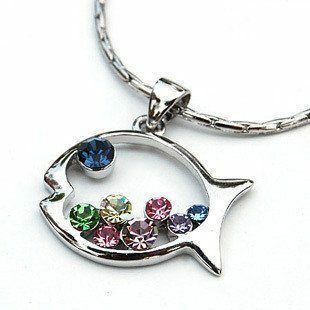 Gem Studded Fish Necklace Just $1.59 Shipped! You are here: Home / Great Deals / Amazon Deals / Gem Studded Fish Necklace Just $1.59 Shipped! Get this Gem Studded Fish Necklace for just $1.59 shipped on Amazon! I love picking up inexpensive necklaces to change up my accessories on a budget.